The Kugler Estate Analyzer™ is a comprehensive estate planning program using a building block approach. 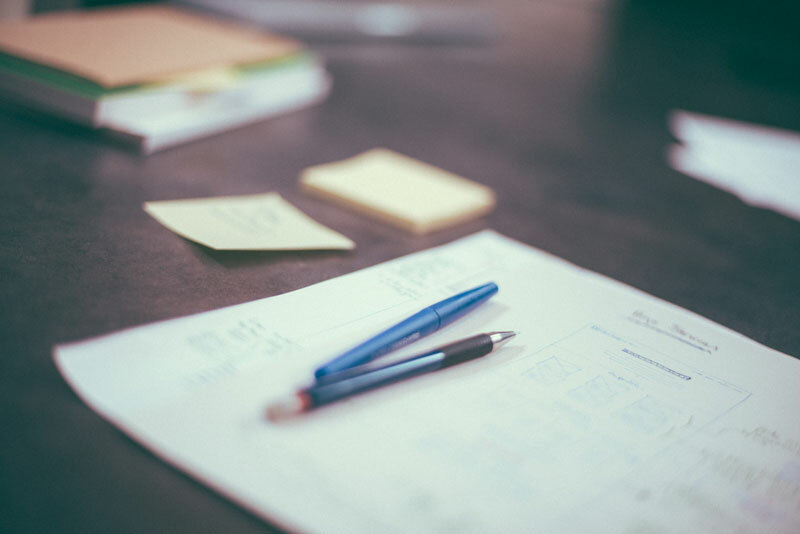 Estate planning techniques may be stacked on top of each other to show the incremental effect of each technique. We will no longer be using the BUS (Brentmark Update System), please uninstall it. AFR table is now online. Help files are online and updated more efficiently. New technique – Family Legacy Using Life Insurance. 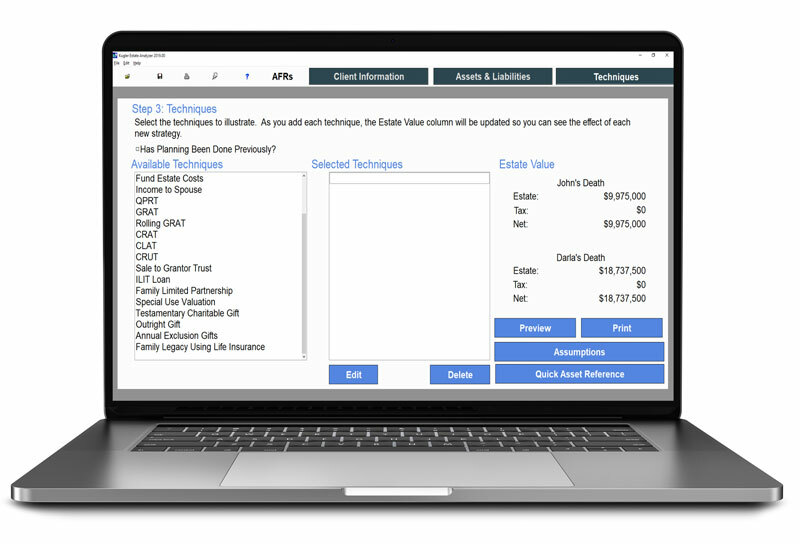 Kugler Estate Analyzer efficiently guides you through entering the data for your client. 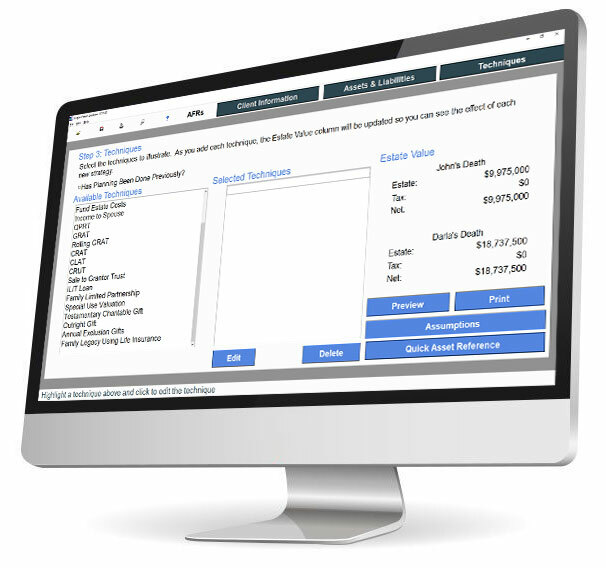 Gather all the necessary asset information using Kugler Estate Analyzer’s second step. Show the incremental effect of each technique by stacking them or show them separately. Click here to download a sample report generated through our Kugler Estate Analyzer™ program. Click to learn more about Kugler Estate Analyzer™ and how you can license it for your business.